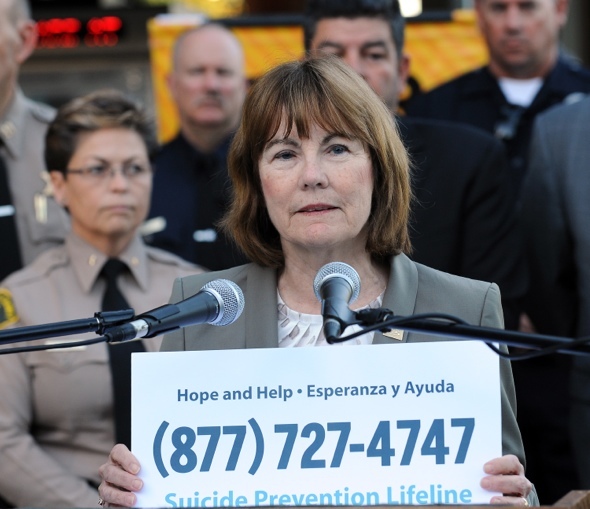 Elected officials, Metro executives, a Sheriff commander and suicide prevention experts today joined a former Metro train operator in appealing to the public to help stop the rash of suicides on the Metro Blue Line. 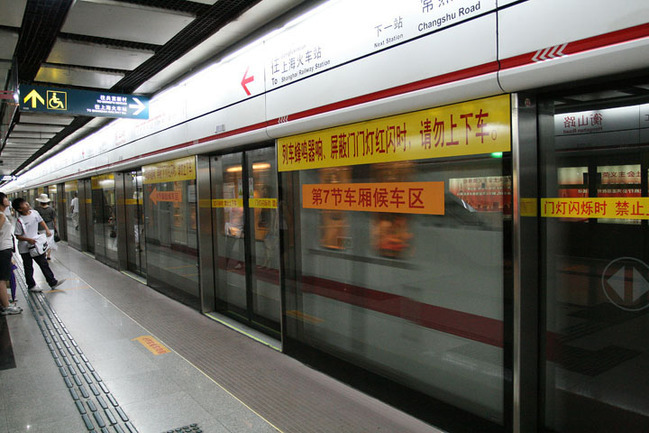 Three of the four deaths on the Metro Blue Line in 2013 have been suicides. Last year at this time there were eight deaths on the line including four suicides. Dr. Kita Curry, CEO of the Didi Hirsch Suicide Prevention Center speaks at the media event this morning. The Metro Blue Line opened in July 1990 and is one of the nation’s busiest light rail lines carrying nearly 30 million passengers a year. It spans 22 miles with 22 stations from downtown Long Beach to downtown Los Angeles crisscrossing cities such as Los Angeles, Vernon, Compton, Carson and Long Beach and several unincorporated zones of Los Angeles County. Metro continues to invest substantial resources to bolster safety by focusing on the three E’s -Engineering, Education and Enforcement. 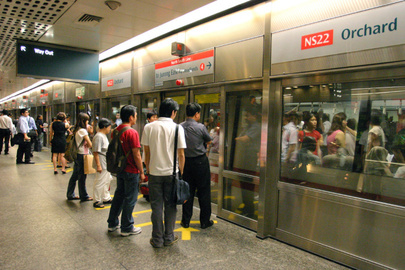 The improvements include installation of special four quadrant gates and swing gates at several high-traffic pedestrian crossings. There are also fences and in-pavement warning lights. Metro will spend hundreds of millions of dollars over the next four years to replace track, overhaul the power system, refurbish stations, buy new rail cars and more all along the 22 mile Blue Line alignment. On the education front, Metro has deployed safety ambassadors – retired bus and rail operators- assigned to spots where accidents have occurred in the past. On the Blue Line 14 ambassadors are stationed at seven key locations in two shifts, Monday through Friday, from 6 a.m. to 6 p.m. They answer questions and warn people about the danger of trying to beat an oncoming train. Also, Metro began a partnership with the Didi Hirsch Suicide Prevention Center to help prevent suicides. Signs with the suicide crisis line (877) 727-4747 had been posted in the stations and the alignment. ​Besides suicides there is rampant illegal and unsafe behavior by pedestrians and motorists around the Blue Line tracks and stations. Metro recently filmed and took photos of people who routinely ignore the flashing lights, bells, and crossing gates and dash in front of oncoming trains or trespass on the tracks. ​Sheriff’s deputies from the Transit Service Bureau have been conducting targeted enforcement at high-risk crossings and today motorcycle officers patrolled an area around the Willowbrook Station ticketing violators. How was your Made in LA bike ride? It amazes me that so many accidents do occur on the light rail lines especially the Blue Line. It operates over the same Right of Way that the Pacific Electric used for trains to all it’s destinations south of Los Angeles yet I don’t recall reading about any accidents back then. In addition there were no crossing gates, just wig wags to warn of an approaching train. But it’s just not the residents who think or hope the trains will stop on a dime, I recall at least one accident involving the LAFD turning in front of a train. But again those driving all types of vehicles are just as stupid turning in front of METRO buses everyday. And yes, those who can only see a bleak future jump in front of and under buses too. Go read the old newspapers from the first half of the 20th century. There were frequent streetcar accidents involving other vehicles and pedestrians. Metro must’ve thought that suicide in front of trains will never happen to L.A. and they skimped on putting platform doors to each station. And gee whiz, look what problems we face today. Metro, we’re complete novices at running mass transit. There’s no denying that we’re not better than these cities. So why don’t we just copy exactly what every other mass transit expert city is doing? They know a lot more than we do and if we do exactly what they are doing, it will be cheaper than going back and installing these things later on. 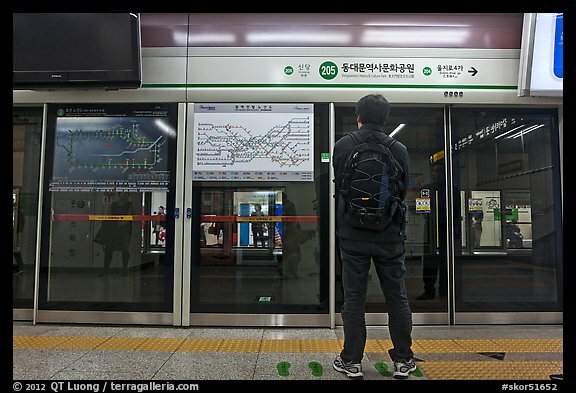 As perhaps you know — or maybe not — there are many large transit agencies across the globe that do not use sliding transit doors. In the U.S., this includes Metro, the New York subway, the Chicago ‘El’ and nearly every other subway or light rail line that I can think of. The problem here and elsewhere is that suicides do not just happen in stations. Not to dismiss the sliding glass doors, but there are other issues involved including expense, maintenance, weather, emergency access and the ability to run different types of rail vehicles . Look even further back–there are records of people stepping in front of speeding horse-drawn coaches as far back as there are records of coaches. It’s good that Metro is concerned about safety, though, I don’t really know how effective any of this can be in preventing someone who’s really determined to take their life from stepping in front of a train to do it. Maybe an ad campaign featuring drivers who haven’t been able to avoid them, and the terrible toll it takes on innocent people who can’t avoid the collision? Most suicides aren’t trying to hurt other people, and if there was greater, and consistent, public awareness around how permanently scarring this is to drivers who are just trying to help patrons get to work, or home, or wherever they need to go? I know most drivers wouldn’t want to talk about it, but making a big public push along this lines of, “if you take your like by stepping in front of her train, she’s the one whose going to have nightmares for the next 50 years, not you” might be more effective. I think on balance it’s good to acknowledge there is an issue and try to do something, including signs alerting people where they can go get help. Thanks for reading. The problem is that not every incident seems to be an “accident.” There are incidents in which people have seemed intent to harm themselves, both near stations and not directly at stations according to witnesses and other evidence. While your at it, please add more lighting to the ‘busy’ 7th St & Metro Center Station under-ground platform area. It looks so ‘depressing’. How does Metro expect the public to help stop suicides? I don’t think a lot of people are going to risk their own lives to save a suicidal person who jumped onto the tracks in front of a train. A suicidal person jumps onto the tracks. What is most people’s natural instinct? Just stand there and watch the guy get killed. I’m sorry if that sounds mean, but realistically there really is nothing you could do unless you risk your ownself to get killed or severely injured as well. People don’t have supernatural powers to magically yank that person out of the tracks nor are they like Superman who is able stop the trains with their arms. Be realistic. There is nothing that the average person can do to “help” suicides from occurring. This is a public safety issue and therefore, it should be up to Metro to do everything they can to prevent it from happening. If that means installing suicide prevention doors and redesigning the rail tracks so it’s not street level where it’s so easy to get onto them, then they have to do it. Besides, didn’t they expect accidents will happen often if the trains are on the same level as streets? Think people, think! We’re not living in 1950s Los Angeles We’re living in 2013 Los Angeles. There’s a lot more cars and a lot more people on the road and crosswalks today than 1950. Saying “oh it didn’t happen when the Red cars were running back in the 1950s” is just plain dumb! Poor word choice; did you really have to use plummet?? I don’t think these suicides are coming from people jumping off of the platform. Face it, the Blue Line was built on the cheap, in order to restore rail transit to an important corridor, and provide a reliable alternative to the 110 and 710 freeways as quickly as possible. That the UP tracks, with the issues they create are still in place after the Alameda Corridor has been in place for a decade is indicative of the lack of will to really do something to make the Blue Line as attractive a ROW as the other Surface Light Rail lines. Grade crossings with no acknowledgement of the pedestrian factor? Plenty on the Blue Line, none on Gold or Expo. And really, the root of the problem is the total lack of funding for mental health services in the USA; suicide by train is only one of the many symptoms. Well they are trying to at least make people think twice. On an earlier Source post about the Blue Line they talked about putting in more swing gates and drop down gates like on the Gold and Expo Lines. That way, maybe someone will think twice before they jump in front of the path of a train, unintentionally or intentionally. The truth is, most of the suicides happen on the Blue Line due to it being the most easily accessible. Also true that almost all of the suicides occur in South Central/Compton/Watts.